I’m pleased to report that after a long and arduous search we have hired a new Director of Computer Services. Her name is Chloe Humphrey, and she comes to us from Cleveland where she recently completed a double Master’s degree in Information and Computer Science. Chloe was at the top of her class and is on the cutting edge of academic computing. Please join me in welcoming Chloe when she arrives on campus. I know it’s been difficult year for the campus with lots of changes and challenges, but I hope Chloe’s arrival with signify a turning of the tide and a new direction for our college community. She will come to us with many new and exciting ideas about how we can run the technology on this campus in a more efficient manner. She’ll be sorry she took this job. 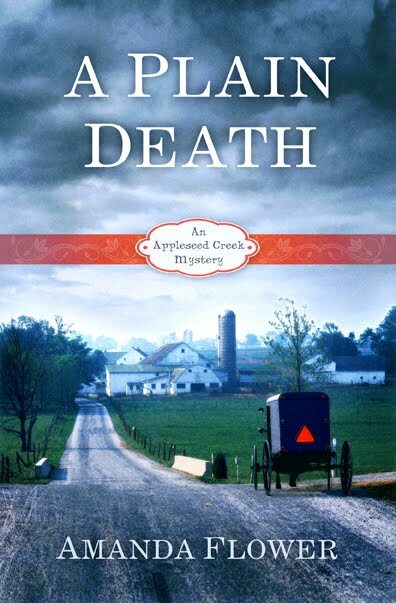 Amanda Flower debuts the first novel in The Appleseed Creek Mystery Series, A Plain Death, July 2012. 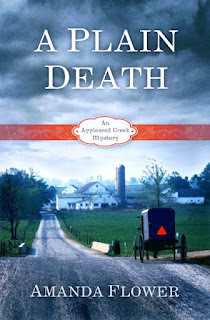 To learn more this series or Amanda other mysteries visit her online at http://www.amandaflower.com/. You can also follow Amanda at https://www.facebook.com/authoramandaflower and http://twitter.com/aflowerwriter. Hmmm... foreboding! What exactly does Joel mean? Watch it, Chloe. I think Joel has it in for you!